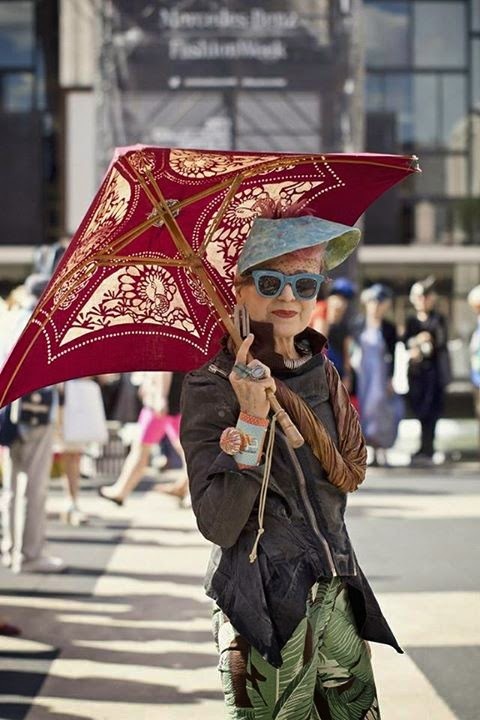 Seven beautiful and stylish New York women aged between 62 and 95 feature in a movie version of Ari Seth Cohen's unique street fashion photography blog that holds the same title as the film; Advanced Style. 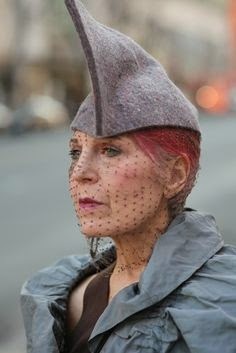 Debra Rapoport, one of the stars featured in Advanced Style: The Documentary very kindly agreed to be interviewed on Recycled Fashion after a succession of email discussions back and forth between in NYC and Melbourne. 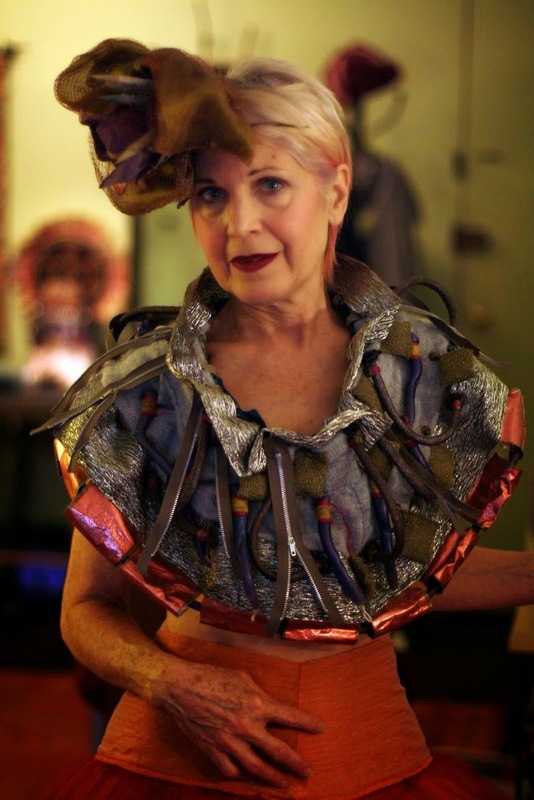 What links Debra Rapoport to the readers of Recycled Fashion is her appreciation and use of recycled and found materials in her fashion outfits and her work. 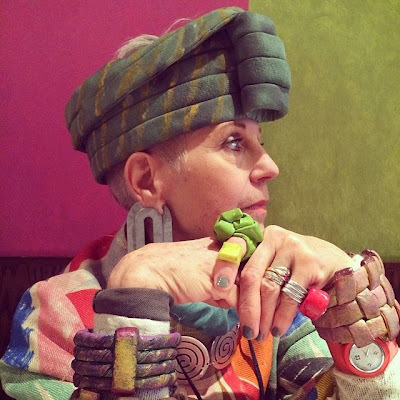 Debra can be seen wearing the most incredible hats and cuffs made using paper towel cardboard rolls, embellished with all sorts of textiles and materials in a number of colour combinations, that would otherwise end up in landfill. How and when did you meet Ari Seth Cohen? Debra: "I met Ari October 2009. He was managing the book store in the New Museum in NYC. I had just taken my raincoat off and he came up to me and asked if he could take my picture as he explained the blog about older stylish women. I had bright pink hair. He then realized that he didn't have his camera that day but used a friend's iPhone and did some quickies. I pulled out my card and said "come over ...I will dress up/undress and make you lunch". Five days later I hadn't heard from him so I called him. He came for lunch and photographed everything in my apartment...me cooking, changing outfits and artwork. It was the first time he encountered one of his women in their home. Prior to this, it was just street shots." How long did the filming take for Advanced Style? "Lina Plioplyte and Ari Seth Cohen shot over a period of 4 years. At first Lina was shooting videos and put them up on Advanced Style You-tube. Then, with such interest they realized they had an idea that could become a feature film! So they began to shoot more and then started editing. With so many hours of footage, it was a challenge to edit it down and have it work as a feature film." How has your life changed since your appearance in Advanced Style? "I get stopped very often and people ask if they can take my picture or if they can be photographed with me. 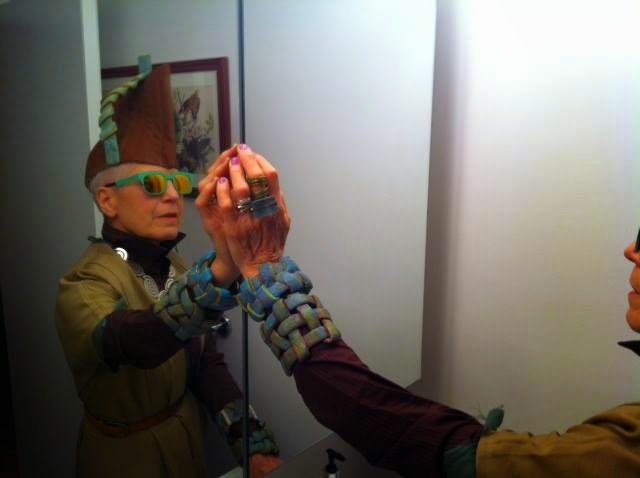 Especially, since the film is out people of all ages recognize me on the street and stop me. It is such fun. It is a chance to talk about the "Movement", why we dress, about vitality and staying involved with our passion and giving permission for everyone to SELF-express." "Many opportunities have come my way. A K-Mart ad ("Money Can't Buy Style"), speaking engagements with Ari and some of the other women, more teaching, a TED talk soon from Amsterdam with Ari and Joyce. I continue to have MORE fun!!" 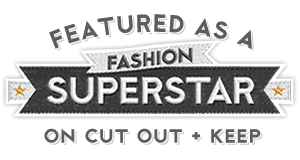 Do you keep in touch with the other ladies featured in Advanced Style? "OH YES...we sometimes do speaking engagements together. Sometimes we get together at Lynn Dell's store, Off Broadway, as it's a great venue to gather. My partner and I love to throw soirees. We meet so many young people through Ari and Lina. We want to keep the soirees mixed ages and energies and share the good experiences." 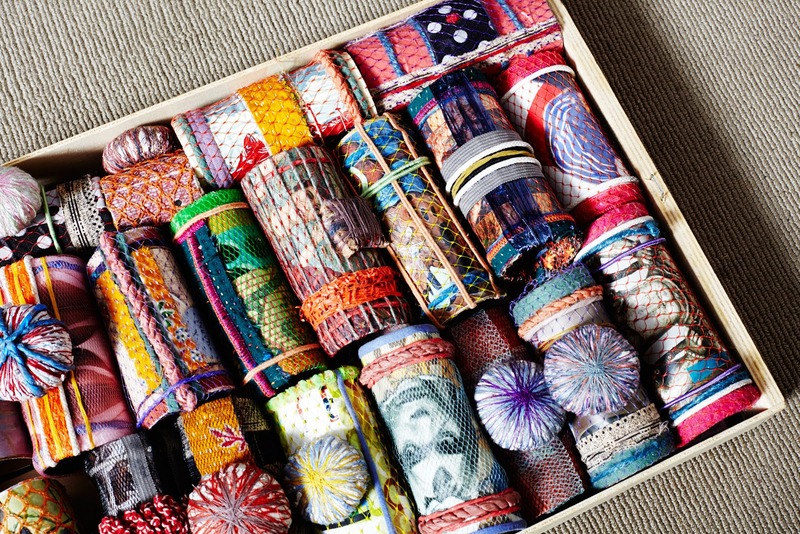 "I say it is eclectic and creative. I like to mix a variety of things but work with layering, color and texture. I consider my body an armature upon which to build a layered sculpture. I call it the A/B/Cs....Assembling/Building/Constructing." 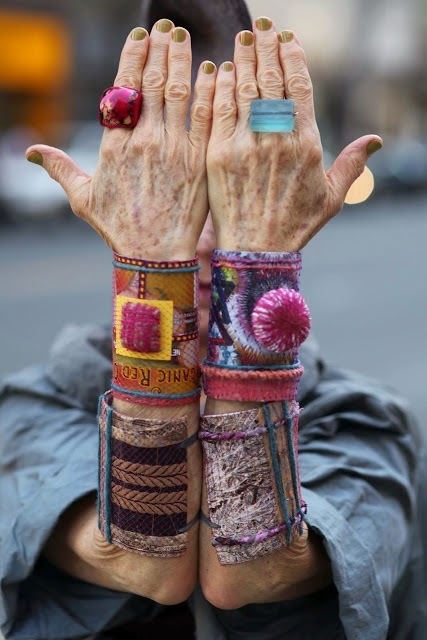 Why is the use of recycled materials in your wearable art important to you? "Materials have always spoken to me. With so much waste in our culture everyday items jump out at me and ask for a second life. It is something I have done for 50 years. It is in my nature. It is exciting to me to translate materials into something completely not recognizable. It is too easy to take expected materials and work with it in the traditional way." 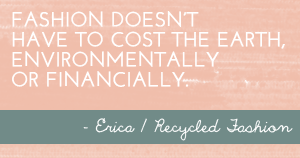 Where do you source your recycled materials? "I find things around the house, in the recycle bin or even on the street. If it is something I really like people will notice this, save some and send them to me. This happens with clothing too. What fun...I great great things in the mail all the time!" 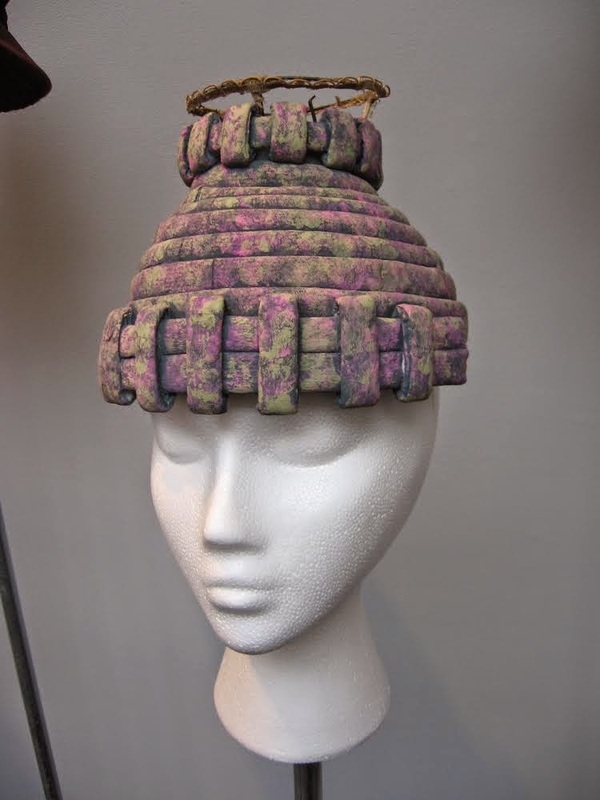 Can you show us some of your pieces and explain the materials used to make them? I noticed you sell some of your recycled designs online, is selling your work a new venture? "Yes selling on line is a new venture. I have sold in galleries over the years. I started by saying "I do ME-COMMERCE not E-COMMERCE" but then Ari convinced me to do E-Commerce and have a site. I need a young friend to work on it with me as I can't do it myself." Do you have any future exciting projects on the horizon? "Well yes, I was just informed that some of my art work will be in an exhibit called "Gifts from America" for the 250th Anniversary Exhibit at the Hermitage Museum in St. Petersburg Russia. This is very exciting. Also I was recently asked to do a walk on speaking part with an avant-garde dance company, Edward Morgan Dance, NYC. They saw me one day and felt like my energy was right for them. My partner who is a song writer played and sang in the performance as well. This company wants to continue to collaborate with us! Who would ever think at almost 70!" You can find Debra Rapoport on Facebook, Viva Le Hat, and Advanced Style. 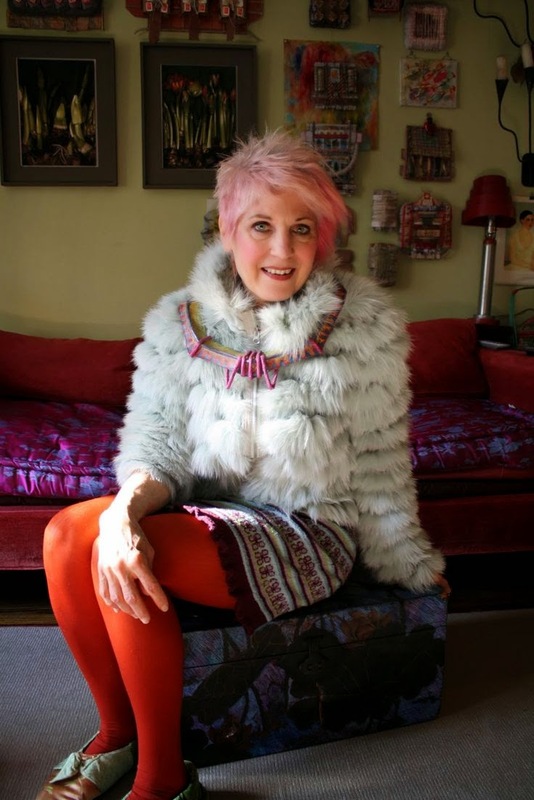 You might also still catch Debra on the big screen at a few selected movie theatres still showing Advanced Style: The Documentary, otherwise get hold of a copy on DVD here. You must see it! Thank you so much for sharing your story with us Debra.. so much achievement already, yet more exciting time ahead! Bravo, ladies. I'm going on 67yrs and you have inspired me to break out. Thanks so much and continued health to each of you.